Sarah's practice empasseses a wide range of commercial and property litigation, with a particular focus on the law relating to the regulation of agrochemicals. Sarah advises on contractual disputes, debt recovery, judicial review claims and the enforcement of judgments, acting for international clients, high net worth individuals and privately owned companies. Sarah also acts for landlords, tenants and freeholders on a wide range of commercial and residential property matters, including lease renewals, recovery of rent, dilapidations, trespass, breaches of covenant, tenant insolvency and the forfeiture and surrender of leases. 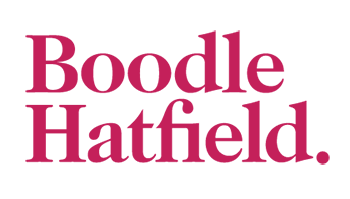 A graduate of the University of Cambridge, Sarah trained with Boodle Hatfield and qualified in 2014. Acting in a claim brought against our client for a declaration that the registration and recognition of a French judgment would be manifestly contrary to public policy. We successfully obtained summary judgment against the Claimant and a declaration that the French judgment could be recognised and enforced in the Courts of England & Wales. Representing a manufacturer in relation to a disputed debt of nearly £200,000 for goods supplied by our client to one of its customers. This matter settled without recourse to proceedings and the whole debt save for £10,000 was recovered within the timescale the client wanted. Successfully obtaining an urgent possession order for a landlord against a trespasser in a Mayfair property. Representing our client in negotiations for access to data for the purpose of its applications to obtain authorisations for its agrochemical products. The negotiations were successfully concluded.